All Dubia Roaches, Mealworms, and Superworms are sold by weight not counts. The counts in the products are an average count for that product. Some variations will exist in the counts for each of the above mentioned species of feeders. All attempts are made to ensure your feeders arrive safe and sound. In the event that an order arrives DOA and the LAG was not strictly adhered to no replacements of refunds are implied. Only 1 replacement attempt will be made. We will make no refunds after second attempt. Please ensure your address on file is accurate. We are not responsible for erroneous packages sent to incorrect addresses, USPS mishandling packages or orders left in mailboxes or parcel lockers for extended periods of time. BE SURE TO ADD HEAT PACKS TO YOUR ORDER IF YOUR TEMPS ARE BELOW 40 DEGREES. IF YOU DON'T OPT FOR HEAT PACKS IN YOUR ORDER LIVE ARRIVAL GUARANTEE WILL BE VOIDED. BE SURE TO ADD COLD PACKS TO YOUR ORDER IF YOU TEMPS ARE ABOVE 80 DEGREES. IF YOU DON'T OPT FOR COLD PACKS IN YOUR ORDER LIVE ARRIVAL GUARANTEE WILL BE VOIDED. These terms apply to all products requiring live arrival delivery, or products marked as live at time of sale. We ship live items Monday thru Thursday only. Cutoff times are as follows. All order processed before the detailed times will ship on schedule. Any items after that cutoff time will ship the following week. All payments for auctions and grabs due within 24 hours of auction end unless you let us know prior to bidding or grabbing. 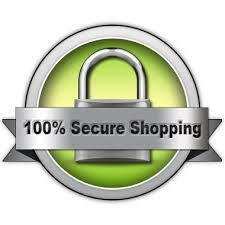 We will discount and combine shipping on orders placed on the same transaction. While we enjoy bundling your orders, it creates a lag in processing and leaves room for error. We will gladly work with you as this policy takes effect. We will gladly replace any and all DOA orders for any product as long as your temps for the shipping period are below the set threshold for the species of insect you are ordering and your ordered the heat or cold packs for your order. No guarantee is implied in temperature over 90 degrees. We have very strict shipping dates, know your weather before you purchase. You must contact us within 2 hours of the time stamp provided to us from the USPS tracking systems to receive a no cost replacement.They scan it right before they deliver it, you have to be ready for your items to arrive. They can't sit in your mailbox or on your porch in the heat. It will kill them. Express shipping is available by request at an extra charge, as well as insurance to protect your losses. If your temps are above the listed temps, you are ordering at your own risk! Each person will receive a tracking number the instant it is shipped via the email you paid with. 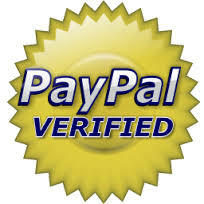 The notification will come via PayPal. If you have not received your tracking number on the shipment date, and you don't have an email with the tracking number feel free to contact us. We will post any and all delays, whether due to heat or supply via a post on Facebook. Be sure to like and subscribe so you get all the newest updates. Everyone should read the about me section of our Face book to get a full list of rules and details on each item. These terms apply to all non-live products (exempting frozen feeders) such as roach chow, water crystals and reptile cages and terrariums. Shipment will be sent without signature required. We are not responsible for incorrect delivery addresses. We ask for address confirmation on every purchase. If your delivery address is different form what's registered on your PayPal, you will need to confirm the address in the payment during check out. We are not responsible for shipping carrier negligence, abuse or delays. We will work with you and the shipping carrier to replace your package. This is on a per occurrence basis and not guaranteed. PO boxes are ordered at buyers own risk, and no guarantee is implied or expected. These terms apply to frozen feeders. All frozen feeders are packaged in styro containers and packed with dry ice. Due to the volatility of frozen feeders, you must be available to receive the package at time of delivery or all warranties are void and null. NO EXCEPTIONS.